CEOs, executive directors, managers, board members, politicians, religious leaders and others continue to make the same avoidable mistakes, hurting the very organizations they are supposed to lead. This guidebook on reputation management explores how leaders can avoid common mistakes that tarnish their brands. 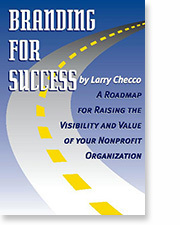 You will discover proven ways to improve your organization's brand reputation. You'll also learn why brand management is all about trust; how marketing and branding are not the same; how even great companies sometimes get it wrong; and why brand management is the responsibility of every employee. So step back and take an honest, introspective and contemplative look at how management and an organization's brand are integrally related through this fascinating series of Aha! Moments in Brand Management. "I'm a big fan of Larry Checco's work on branding. This book reminds us that branding goes beyond a logo. It's really about trust, over-the-top customer service and leadership. I love Larry's concrete examples of how these elements work — and the consequences when they don't." "If you're an entrepreneur and don't think you have the time to learn about branding, you're wrong. I wish this book had been available when I was building my business and its brand. It would have saved me a lot of time, trouble — and money!" Branding for Success will help you answer the questions: Who are we? What do we do? How do we do it? And why should anyone care enough to support us? There is nothing in this book that is beyond the reach of any organization, regardless of size or financial resources. Its primary objectives are: (1) to make the case for branding and its importance to the sustainability—and perhaps even the survivability—of your organization; and (2) to make the fundamental principles of good branding accessible to everyone. So take the time to put yourself into a whole new mindset as to what and how to communicate to your target audiences. 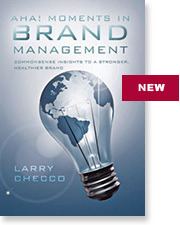 To purchase Larryʼs books on branding through PayPal please click Add to Cart.